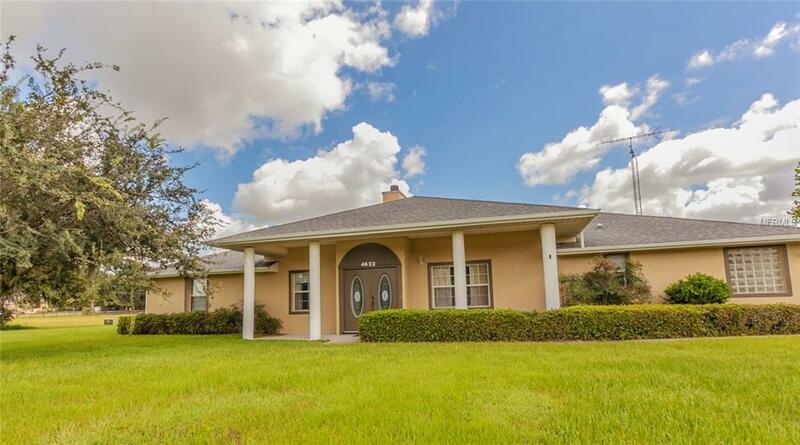 Located on one of the largest lots at 3.4+ Acres in the family friendly neighborhood of Quail Point, you'll find this stunning 4 Bedroom 3 Bath home that is only a stones throw away from The Villages Schools, Shopping and Restaurants. Built with ARXX ICF construction which consists of concrete forms used to pour concrete walls and foundation, this home not only provides durability but also extra insulation making the home energy efficient which equates to low electric bills! With cathedral ceilings throughout, the main living area boasts an open floor plan with Kitchen overlooking the Living Room, split guest rooms which are separate from the Master Bedroom, and beautiful wood laminate flooring throughout. The Kitchen comes equipped with top of the line dark gray stainless steel appliances, granite countertops, wood cabinets accented with crown molding perfect to showcase top shelf decor, closet pantry, and a breakfast/serving bar. The Master Bedroom is spacious and is highlighted by a large walk in closet with ensuite, dual sinks, sit down vanity, walk-in Roman Shower and private lavatory. 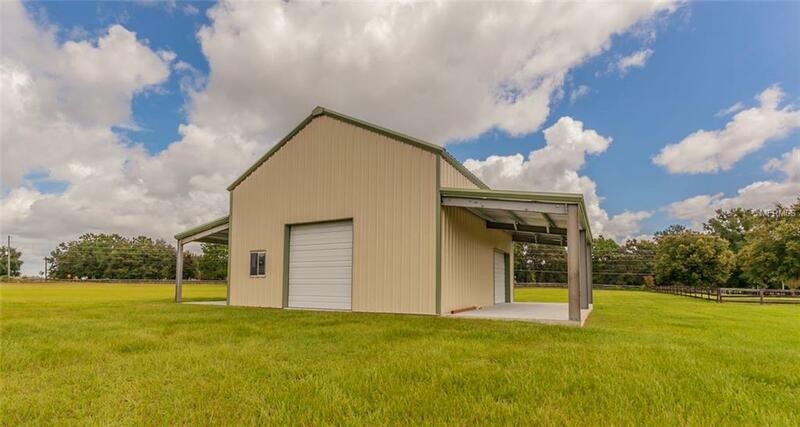 As added bonuses, this property offers an in-law suite with private outdoor entrance, as well as a large barn with carports perfect to store all your toys. 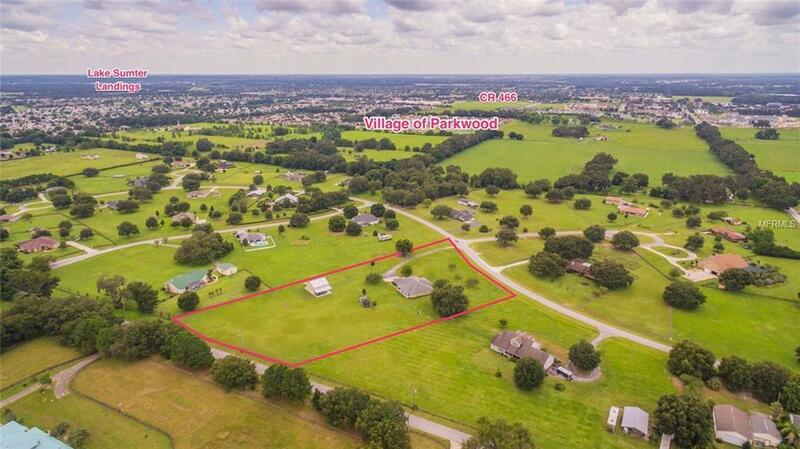 Quail Point subdivision provides outstanding convenience being located adjacent to The Villages, but it also gives the country lifestyle with very low HOA fees. 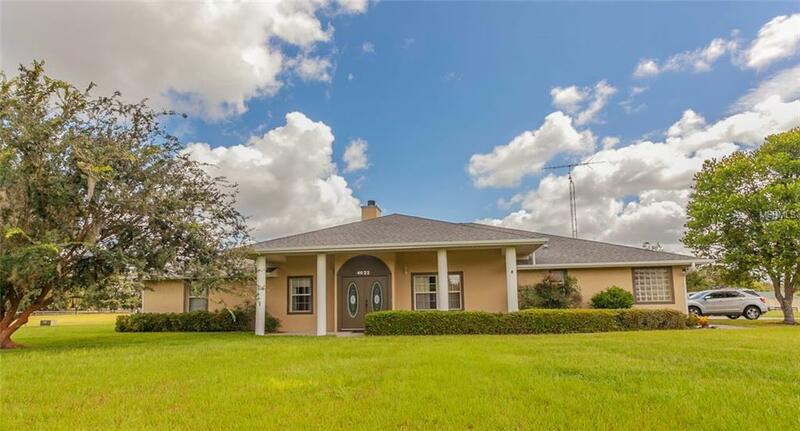 This home wont last long so call today to schedule your private showing! Listing provided courtesy of Flamingo Real Estate & Mngmt.